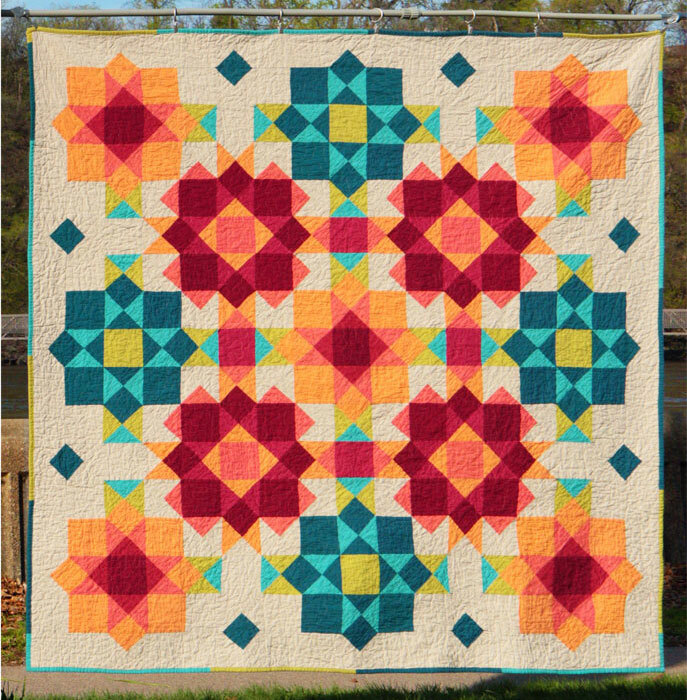 I had great fun designing this quilt—I restricted myself to just 7 colors plus a background and using only hourglass blocks and squares to create a complex-looking design. It took many, many hours of playing but I love how it turned out! I used natural colored Essex linen for the background, and Kaffe Fassett shot cottons for the solid fabrics. The drape on this quilt is fantastic! In real life it is a double-sided quilt. The other side is my Parlor wall quilt.